If one of the standard frame depths is not suitable, you can customise the frame by adding a build out to the back of it. 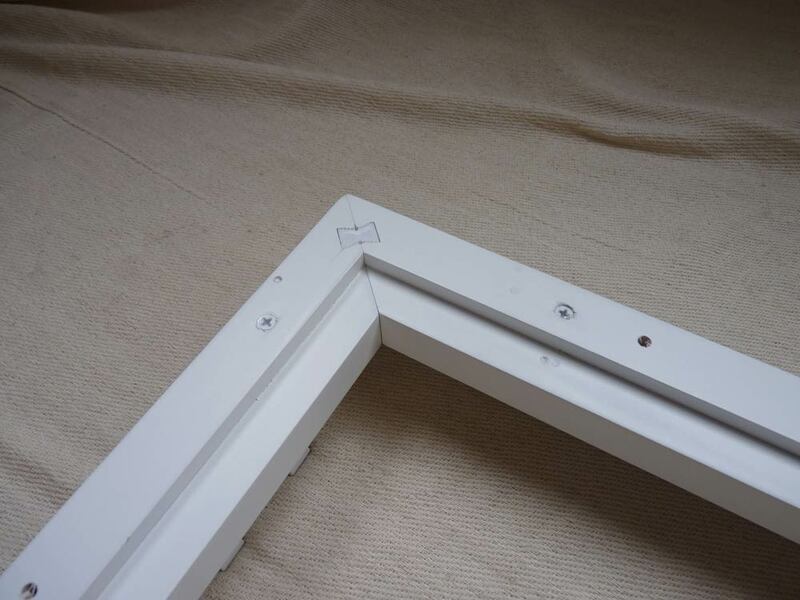 This means the back of the frame is extended with a batten of wood the same width as the frame providing extra louvre clearance. 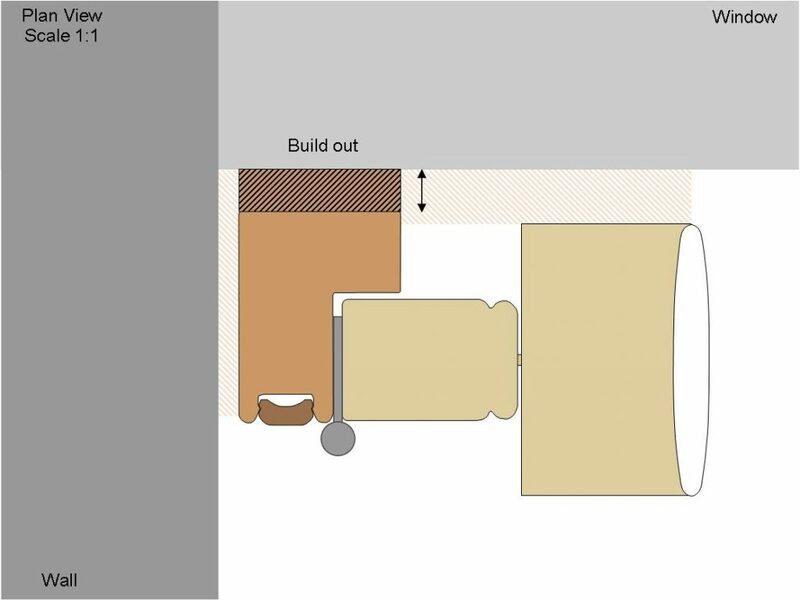 Build-outs can be used if you have large handles, or if you have small recess and you are trying to match the frame depth to the wall to allow the shutters to wrap around the recess. They are pre-screwed (not glued) to the back of the frame. 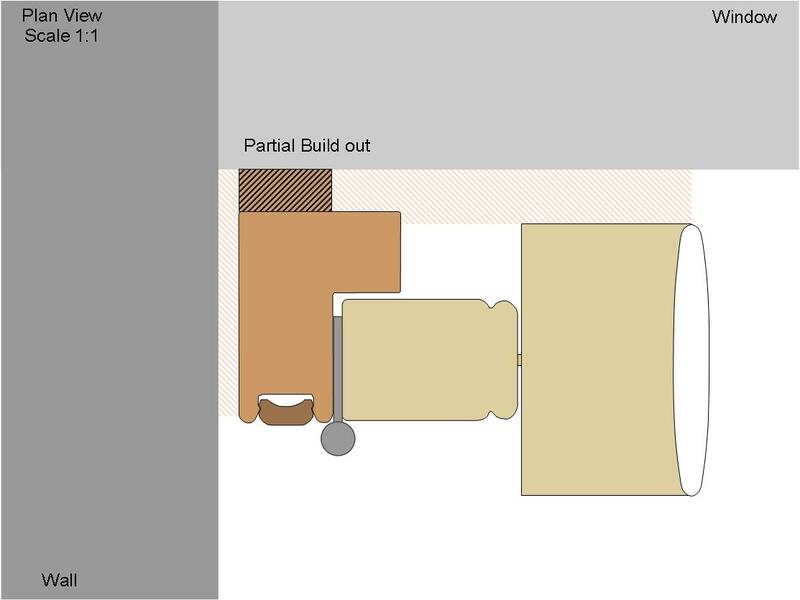 Build-outs can be made to the nearest millimetre, you can customise the width and depth. As standard, the build-out will match the rear frame width of 38.1mm (L & Z frames). On a Deco frame, the build-out will not be extended over the light stop so it’s only 50.8mm wide. 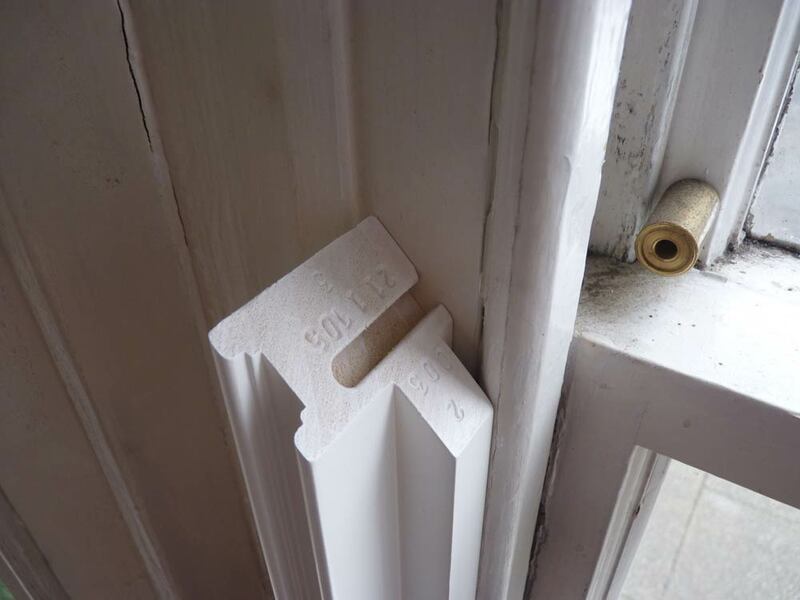 You can see the join of the build out so think twice when fitting build outs on Sash windows where you can see the edge of the frame. You could upgrade to a larger frame depth.